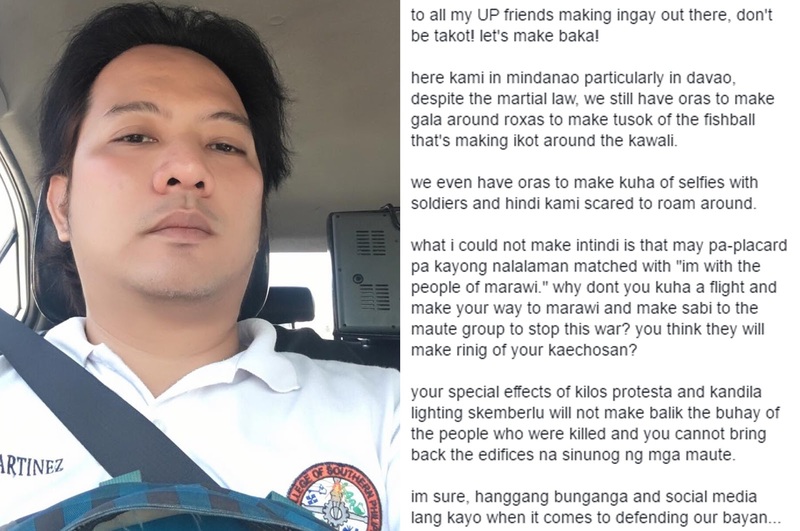 This Netizen’s Statement Addressed to His Fellow UP Students Regarding the Martial Law in Mindanao Quickly Went Viral Because of How He Wrote It. Read His Hilarious Post Here! The recent declaration of Martial Law by President Rodrigo Duterte in Mindanao on the island of Mindanao has elicited numerous and contrasting reactions. Most of these reactions are serious but nonetheless still of good intentions. 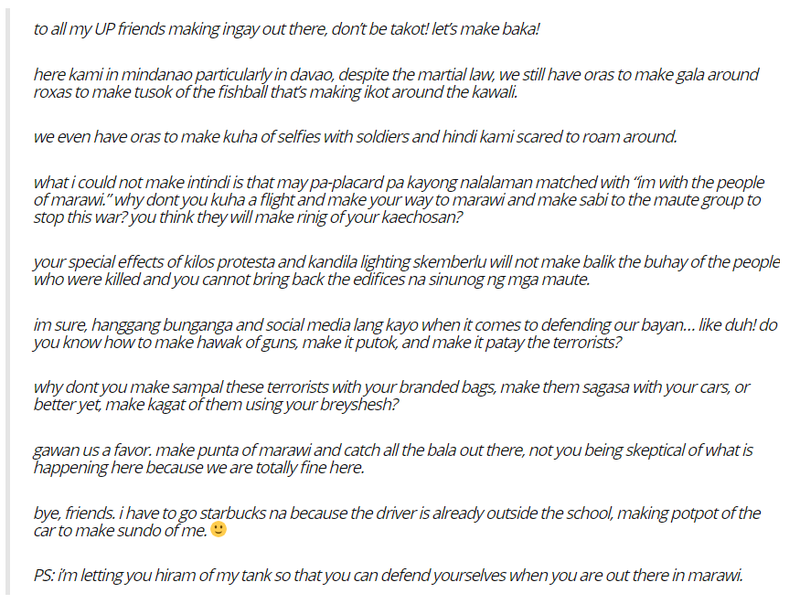 A certain Norl Martinez took to Facebook his mocking take on the reactions of certain citizens, particularly UP students who have expressed opposition to the Martial Law. He wrote his statement in a “conyo” way as a way to sarcastically attack the anti-Martial Law protesters. How about you? What is your opinion on the Martial Law being implemented in Mindanao? Are you for or against it? Let us know in the comments section below!